Transport around Norfolk and Suffolk during the week included, but please make your own way to the arranged start point (which we will arrange to suit you.) Breakfasts included but not lunch and dinner. We will book the accommodation dependant on the tour you would like. If you wish to cover both Norfolk and Suffolk we would recommend Norwich as it is more central. We will find at least 3 star rooms and try to give you a choice, unless you would rather a hotel in the city. 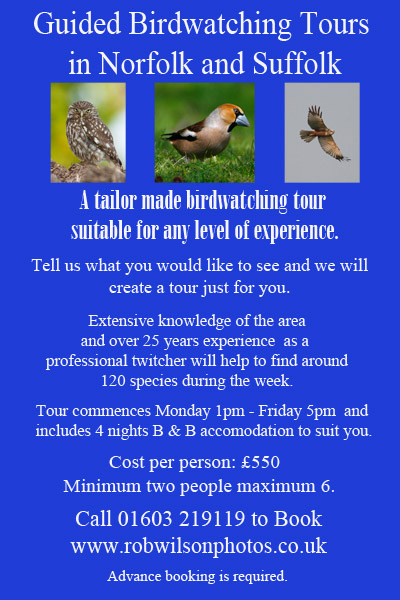 £200 booking fee required. Full payment to be received 6 weeks prior to tour start date.